Looking for a different kind of theater experience? 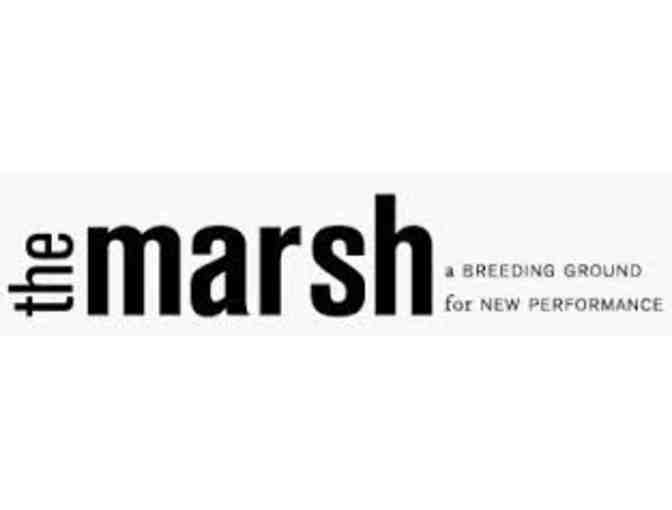 This package is for you: two tickets to any show at The Marsh--A Breeding Ground for New Performance. Cafe style venues are located at 2120 Allston Way in Berkeley and 1062 Valencia in San Francisco, both accessible by BART. To guarantee a seat, reservations are required. Passes are not valid for benefit performances or special events. Your support matters, so WomenSing would like to use your information to keep in touch about things that may matter to you. If you choose to hear from WomenSing, we may contact you in the future about our ongoing efforts. Copyright © 2003-2019 WomenSing and Greater Giving, powered by BiddingForGood, Inc. All Rights Reserved. Designated trademarks and brands are the property of their respective owners.